To all the world, Sinclair Broadcast Group and the Trump administration looked to have the perfect relationship. During the 2016 campaign, the local TV news giant acted as a propaganda arm of the Republican nominee’s campaign — forcing its affiliate stations to air fawning coverage of Donald Trump, and hard-hitting reports on Hillary Clinton’s secret health problems. 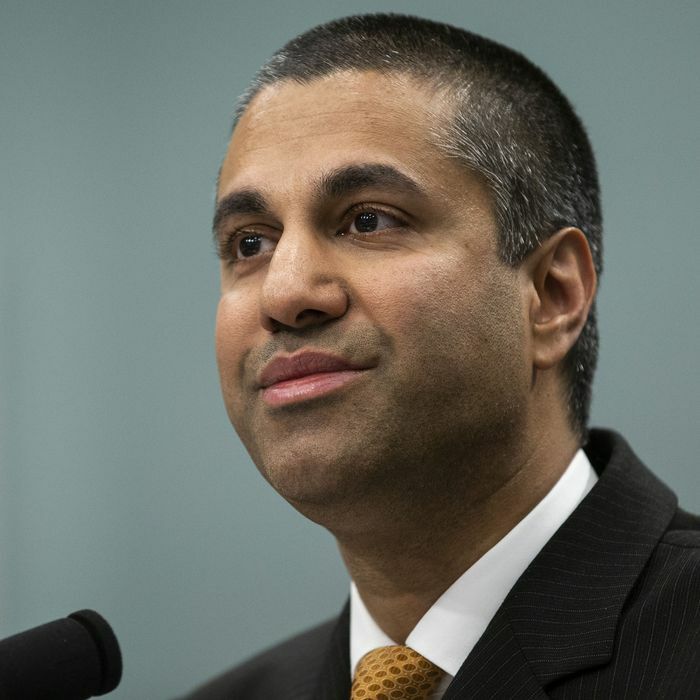 And the Trump administration returned this favor upon taking power: After the president installed Ajit Pai at the Federal Communications Commission, the FCC rolled back a pair of rules that stood in the way of Sinclair’s $3.9 billion merger with Tribune Media. In the ensuing months, the love between the White House and Sinclair continued to blossom. In addition to compelling its stations to air prepackaged, pro-Trump segments, the broadcaster began forcing all of its affiliated anchors to personally report to their viewers that the mainstream news media was biased against the president. The two entities fit together like peas in a pod, or a hand in a glove, or the Kremlin and Pravda. Among other things, the FCC zeroed in on the business ties between Smith and businessman Steven Fader in connection with the plan to sell Tribune’s WGN-TV Chicago to a new entity controlled by Fader for $60 million. That plan sparked concern from merger opponents because the purchase price was so far below fair market value for a Chicago TV station. Fader is CEO of Atlantic Automotive Group, in which Smith has an equity interest and also sits on its board. The commission’s order noted that Fader had no prior broadcast TV experience, and the transaction was structured as to give Sinclair sway over the station’s operations. Upon this discovery, Pai announced that he had “serious concerns” about the merger, and referred the issue to an administrative law judge — a move could draw out the government’s review of the deal for over a year. On Thursday, Tribune Media ran out of patience. The company announced that it had withdrawn from its sale agreement, and filed a suit against Sinclair for breach of contract. In their agreement, Sinclair had reportedly pledged to make a good faith effort to comply with federal rules, so as to expedite the merger’s approval. “Sinclair’s entire course of conduct has been in blatant violation of the Merger Agreement and, but for Sinclair’s actions, the transaction could have closed long ago,” Tribune said Thursday. Tribune will now seek a new buyer, while Sinclair scours the market for smaller broadcasters it can gobble up. The breakdown of the merger represents a rare instance in which the Trump administration ostensibly put principle above both its own political interests, and its friends’ financial ones. Still, in late July, after the FCC expressed concerns about the merger, the president made clear that his feelings for Sinclair had never changed.